Our Sm@rtspan series of all Dielectric Self Supporting cables are very strong in order to withstand wild weather and heavy wind loads. • Strong to minimize cable sag, even for large spans. • Compliant with industry standard fittings so that you don’t need any special training to secure the cable. 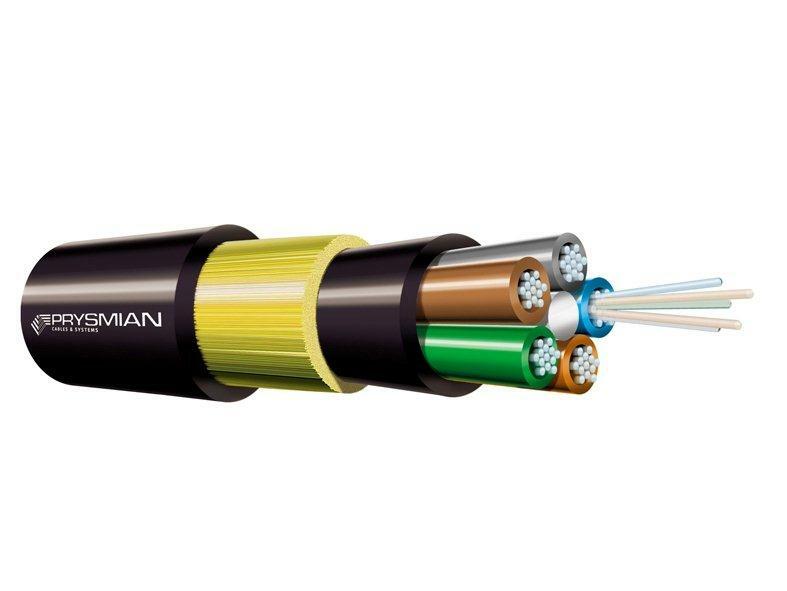 • Cable doesn’t contain any metallic elements making it impervious to electromagnetic fields. • Can be installed on low, medium and high-voltage power lines without interruption of power service to customers. • Available with anti-tracking sheath upon request, for installation in high electrical field strength. The double sheath provides for the longer span distance between poles. All dielectric loose tube aerial optical cables with double sheath are is designed for external self-supporting applications requiring long distance spans between poles.